I am shocked at the incidents of sexual violence against women in Bengaluru over the past few days. As a Bengalurean I have always been fiercely proud of the city’s reputation as one of the safest places for women in India. So the horrific incidents of women being molested openly in public places came as a rude jolt. Bengaluru, a modern metropolis with global aspirations, is today unfortunately making global headlines for caveman-like sexual violence directed against women. It is a matter of collective shame that as a society and as citizens of Bengaluru we could neither protect these women nor could nab the culprits immediately. The situation calls for a swift action and exemplary punishment to deter any recurrence in future. It is time for the authorities to confront the fact that we have a very serious law and order situation in our hands. According to the National Crime Records Bureau statistics for 2015, Bengaluru had reported the third highest number of attacks against women with an intent to outrage their modesty from among 53 Indian cities. 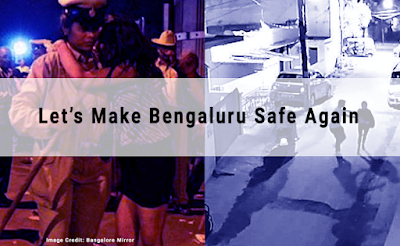 The brazen manner in which miscreants went about assaulting women at Brigade Road on New Year’s Eve also shows that they had no fear of the law. Bengaluru was till recently ranked as the best city in India to stay in and a large part of it was because of its liberal, progressive ethos and its reputation as one of India’s safest cities for women. Sadly, Mercer's Quality of Living Survey has ranked Bengaluru a distant third in 2016, behind Hyderabad and Pune. A repeat of this kind of sexual assaults that have been reported in the last few days will end up permanently tarnishing the city’s image and alienating many who were considering making it their home. Urgent action is needed to tackle a weak system of law enforcement and policing that leaves women vulnerable. Concerted efforts need to be made to catalyse legislative changes needed for the effective functioning of special courts that can deliver speedy justice to women victims of sexual abuse. If such criminal activity goes unchecked, it will have serious ramifications for the future. It will not only erode citizens’ faith in the ability of the state to protect them, it will also make global investors nervous. As disturbing as these incidents are, what is equally distressing is that instead of unequivocal condemnation terms like ‘Western culture’, ‘half dress’, ‘late-night partying’ associated with women have come to dominate the narrative. This is dangerous because ‘victim blaming’ not only allows the sexual predators to go scot free but also emboldens them to repeat their offences. Ironically, the moral police have a lot to say about how women should be dressed but are curiously silent on how men should behave in society. This is reflective of a very regressive male mind-set. This hypocrisy needs to be called out because it is actually a mask for our society's intolerance towards women emancipation and gender equality. It reflects a deeply parochial mindset and an aversion towards a modern, self-assured woman who dares to break the age old mold of a submissive woman. Women were previously asked to dress in a certain way, but now when they decide to dress differently they are made to feel vulnerable. Women were previously expected to remain quiet, but now when they speak up they are made to feel vulnerable. 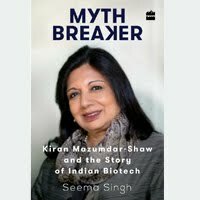 What these people need to understand is that the Indian woman has come a long way today and are confidently contributing to business, science, sports and many other fields. And we are not going to surrender our hard-fought social, political and economic independence to disappear behind closed doors just because of the brutish behaviour of some lumpen elements. Ordinary Bengalurueans also need to come forward to reclaim the city and protect its women-friendly reputation. We cannot remain apathetic to the subject of sexual assaults and let hoodlums run amok in our city. We need to speak up and protest whenever and wherever we witness sexual misconduct. The political establishment needs to send out a very unambiguous signal that sexual crimes against women will be dealt with sternly. The police should take a ‘zero tolerance’ attitude towards sexual violence, take swift action whenever any such incidents are reported, name and shame the culprits in public, and make all efforts to ensure that the guilty don’t go unpunished. Let us all take a pledge to make Bengaluru safe again!